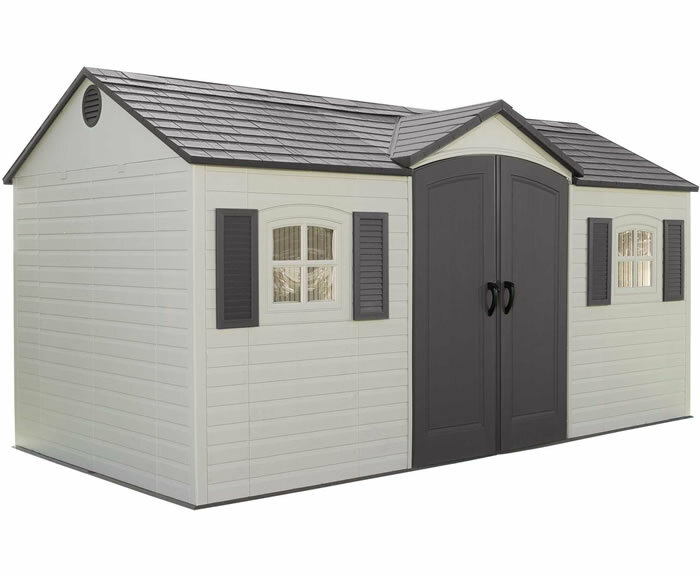 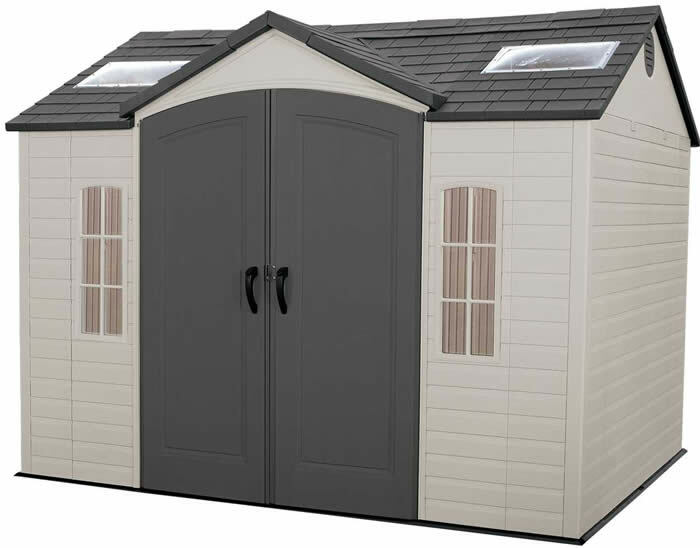 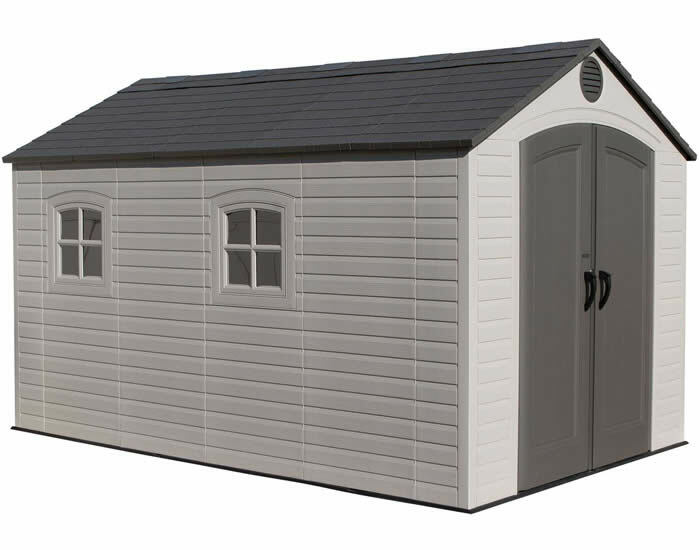 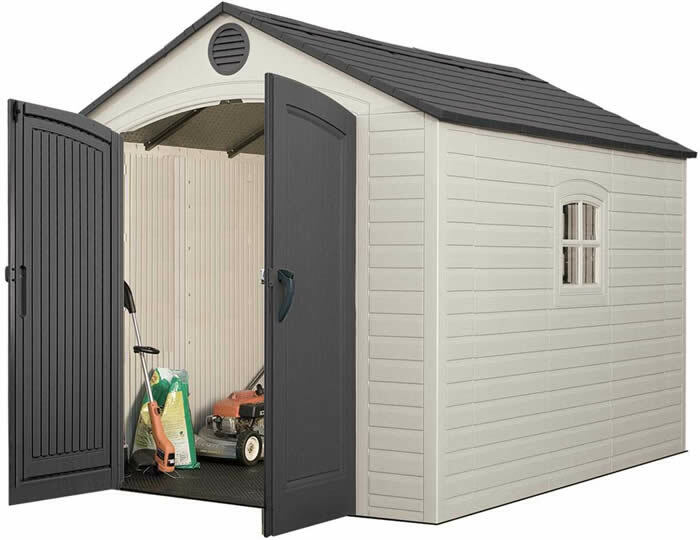 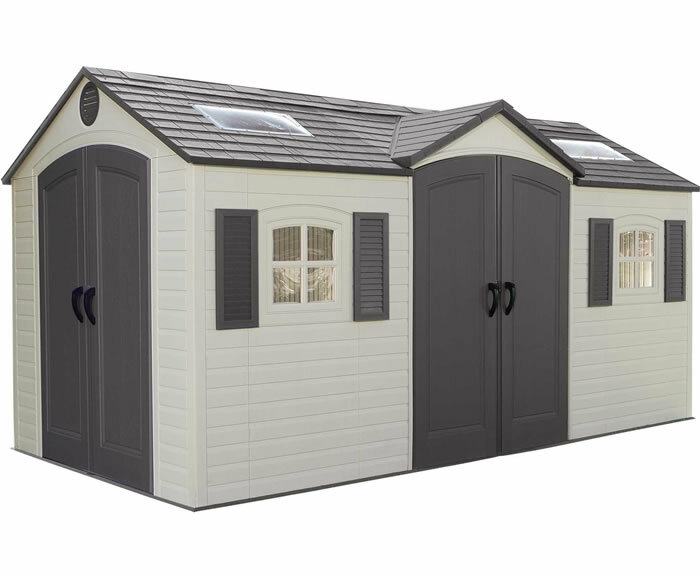 Traditional style means the EZ-fit Homestead shed is a great choice for nearly any backyard. 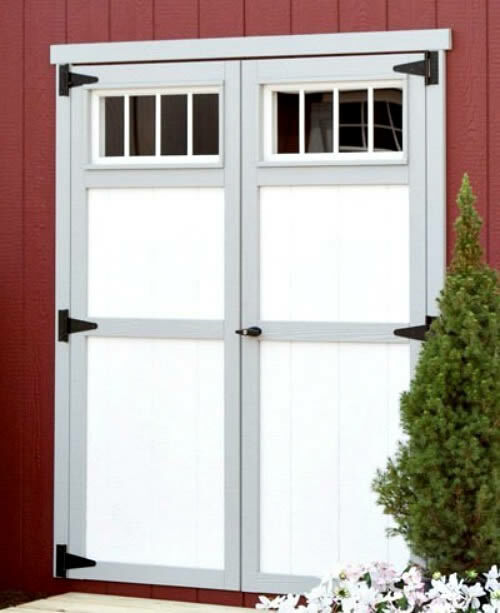 A double window, 30" x 36", lets in light while the double doors allow easy access for storing lawn equipment, bikes and other bulky gear. 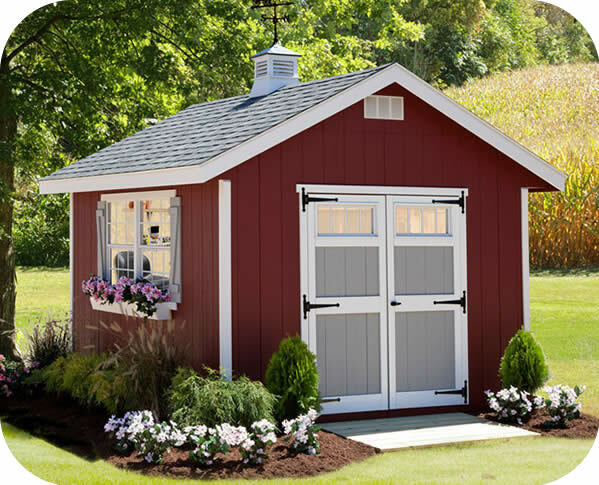 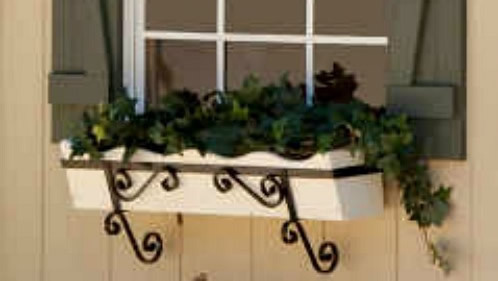 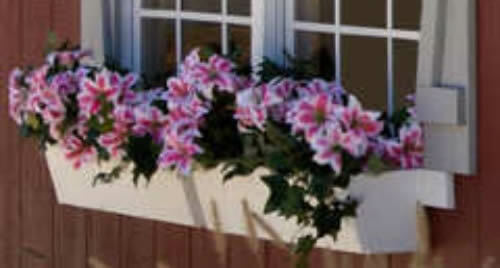 Add optional flower boxes, transom windows and a delightful weather-vane for even more style.�Made in the U.S.A.